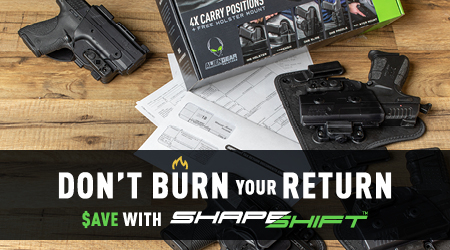 With your tax return in hand, now’s your chance to cash in on all the holster bundling deals! 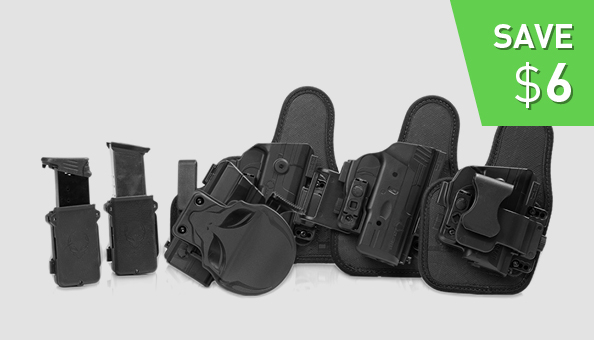 Spoil your sidearm with a new ShapeShift Core Carry Pack, mag carriers, and holster mounts and enjoy the best savings on the planet! 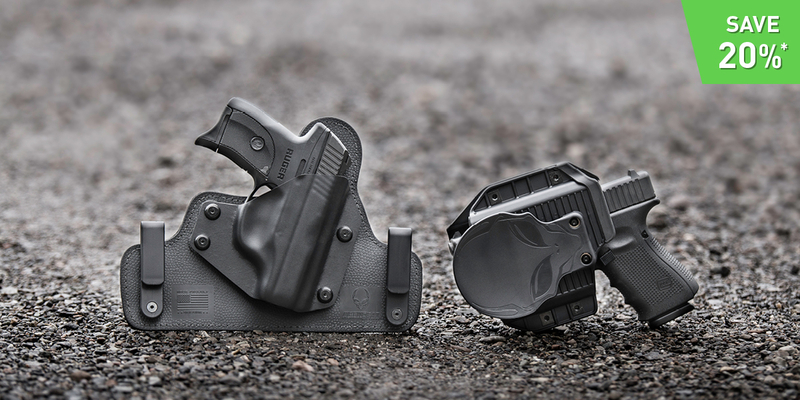 The Core Carry Pack includes everything you need to carry in four distinct ways plus a free holster mount (included inside each Core Carry Pack). 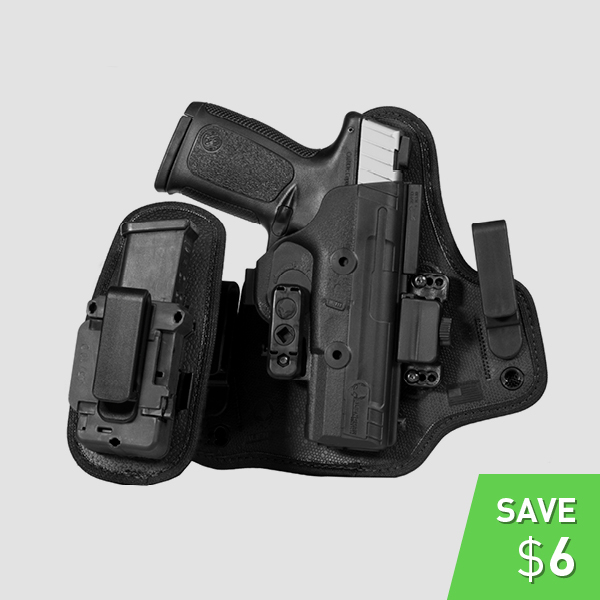 Comfortably carry your handgun inside-the-waistband (IWB), appendix, and outside-the-waistband (OWB) using a paddle or belt slide with this 4-in-1 kit. With these tax season holster savings, you can stretch every dollar of your hard-earned tax return and get the gear you and your handgun deserve. Check out all the ways to save this tax return season. 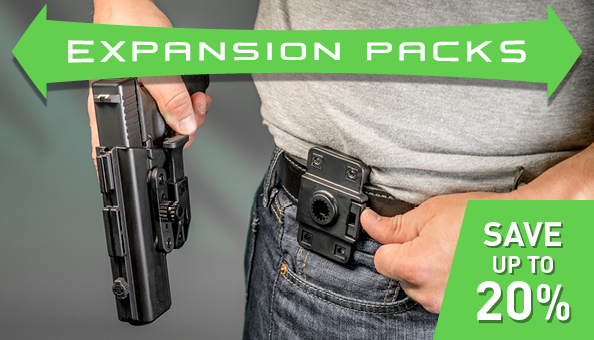 ShapeShift expansion packs give you the ability to shift to an entirely new carry position using the same Shift Shell from your complete holster. 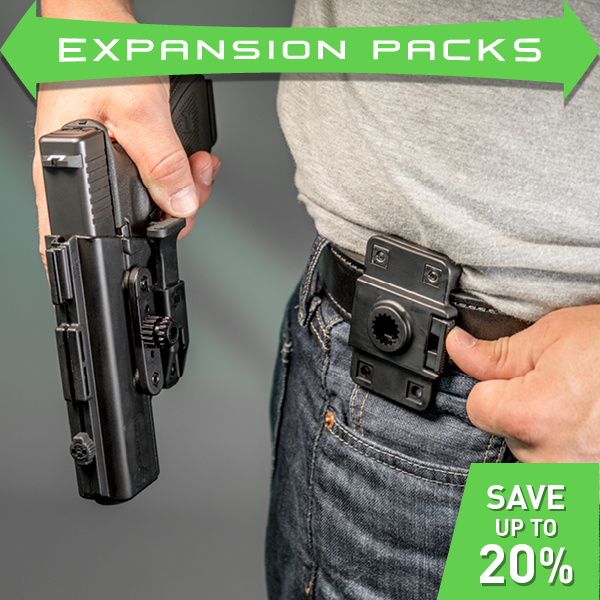 Save up to 20% off any expansion pack when combined with a Core Carry Pack, Shift Shell Kit, or complete ShapeShift holster. You never know when a situation calls for more mags. Be prepared for the unexpected with up to two spare magazines with our comfortable, concealable Cloak Mag Carriers. *Save approximately 20% on your order. Two Holsters Are Better Than One. Not seeing your handgun for ShapeShift? No problem. Our award-winning Cloak series is available to over 500 firearm models, so there’s a good chance we have a holster for your handgun. 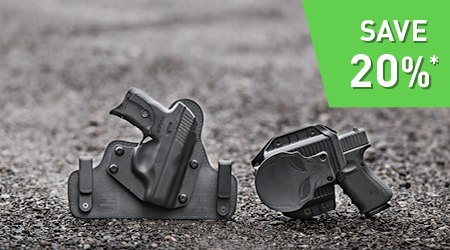 Choose two Cloak series holsters and instantly save up to 20% off the your second holster!